Have all your guests saying "Cheers!" 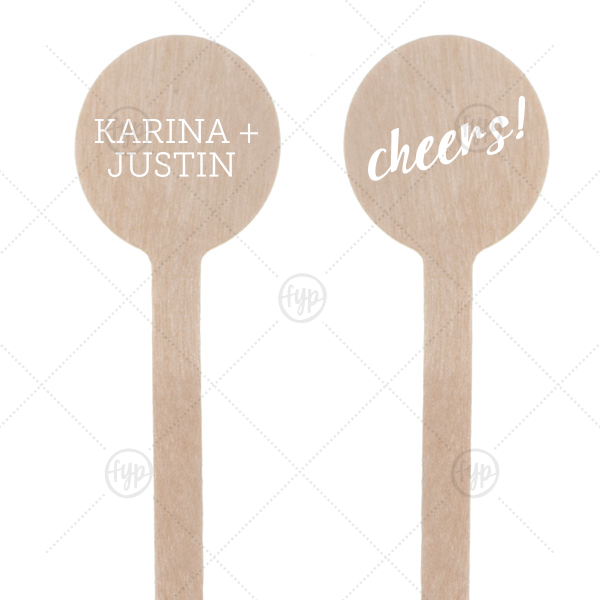 with these personalized stir sticks. Just the right touch for your wedding bar, give signature drinks the accent they deserve. Keep neutral with our matte white or add a pop of color that matches your theme.